Panasonic just announced their new HDC-SD7 in Japan. Those tricksters are now saying that this is the world's smallest HD camcorder, and not yesterday's record-holder. This one has a vertical format but is it really the smallest of both? The SD7 weighs less, at 0.63 pounds vs 0.75 pounds for the SD5. 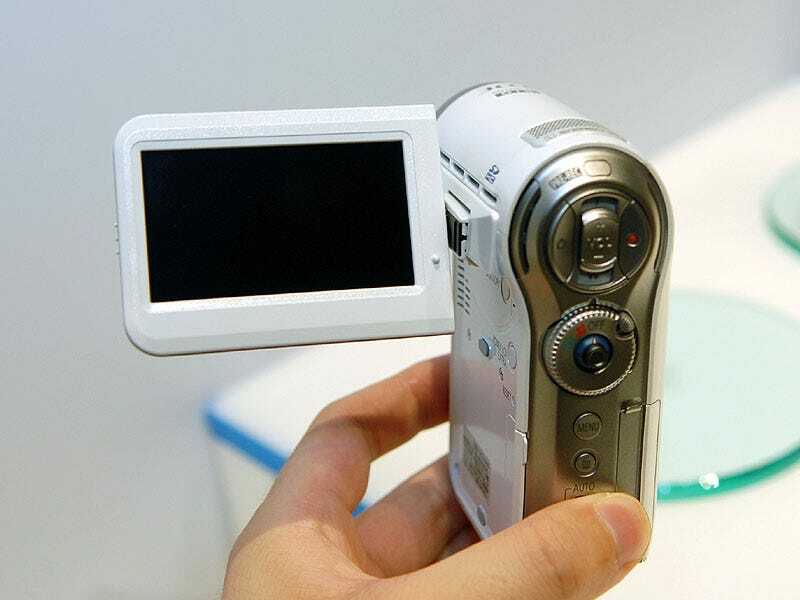 On size, the vertical format camcorder has is 2.04 x 3.42 x 4.33 inches vs 2.6 x 2.6 x 5.3 inches, so it does look a little bit smaller, but not that much.